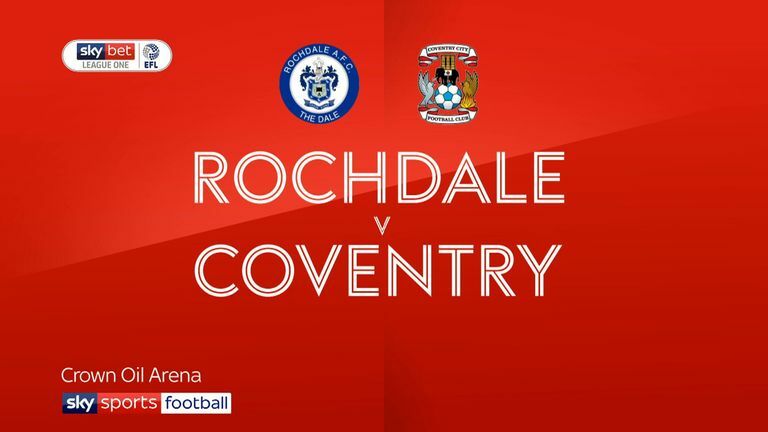 Highlights of the Sky Bet League One clash between Rochdale and Coventry. 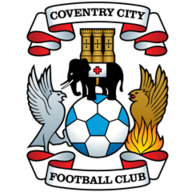 Coventry picked up their first win since New Year's Day as Jordy Hiwula scored the only goal of the game at Rochdale. Hiwula kept his cool in the 68th minute when he raced through on goal, collecting Amadou Bakayoko's flick-on and dinking a neat finish beyond new Dale goalkeeper Andy Lonergan. Towards the end of a dire first half devoid of quality, Sky Blues skipper Liam Kelly's chipped pass over the top of the home defence set up Dominic Hyam for a shot at target, but he failed to connect cleanly with the ball and scuffed an effort straight at Lonergan. After the interval, Bakayoko went close when he met a Luke Thomas cutback. Callum Camps saved the day for Dale as he diverted the close-range effort wide of Lonergan's near post. 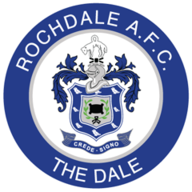 Jordan Shipley fired a shot across the face of the Rochdale goal after 62 minutes before the visitors made the breakthrough six minutes later via Hiwula's goal. They went close to a second when a weaving run and shot from Thomas was saved by Lonergan.